Our next Life-Model Drawing Session will be held on Monday, April 22nd at 7pm at the Ansonia Armory. will go towards funding our day-to-day operations and our many community based outreach activities. Click here to donate! 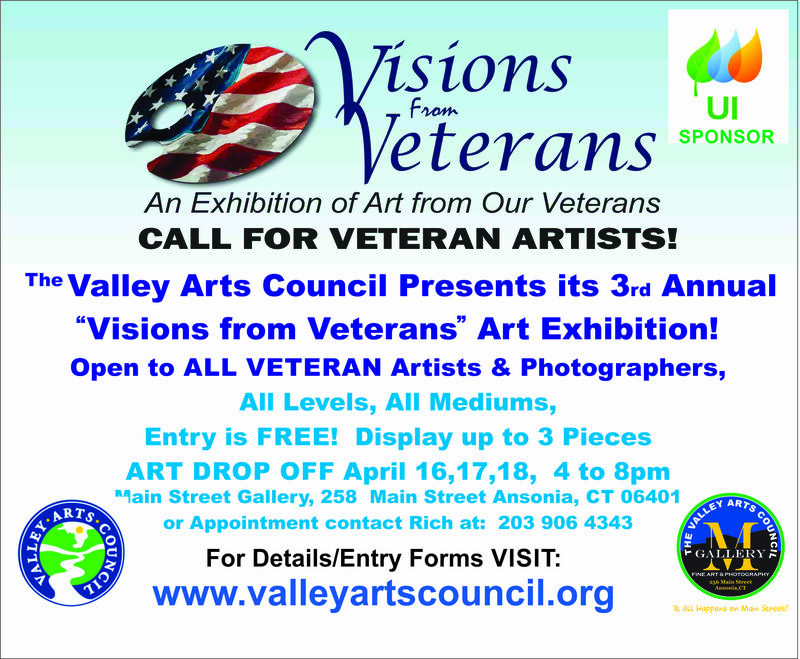 The Valley Arts Council was formed for the purpose of creating and promoting a connecting thread between those among us who are artists and those who have an interest in experiencing the arts. Sometimes the only difference between a life full of art, and a life void of art, is the simple accessibility of the arts. Our mission is to ensure that the contribution that the arts can make to one's life is recognized, valued, promoted and realized in the lives of all Valley residents. The Valley Arts Council has an ongoing commitment to recognize that a community which encourages, supports, and fosters the arts, empowers its citizens to think, work and live creatively.